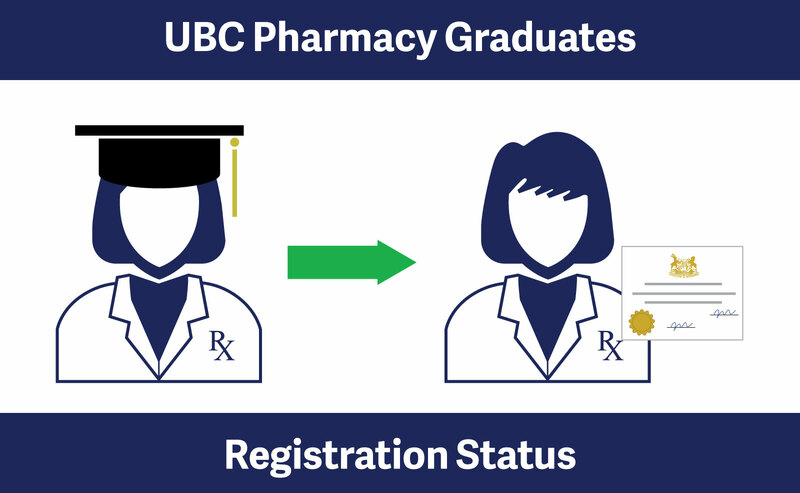 Many pharmacy employers will employ UBC pharmacy graduates shortly after completing their pharmacy program, but before they have become registered as a Full Pharmacists with the College. The College would like to remind students and employers that pursuant to section 46(1)(a) and Schedule C of the HPA Bylaws, a person must be enrolled as a student in a recognized pharmacy education program in order to be eligible for Student Pharmacist registration. Employers should be aware that once students have completed their pharmacy program, their Student Pharmacist registration is no longer valid. As such, these students will no longer be permitted to perform any of the restricted activities set out in the Pharmacists Regulation that they were previously able to perform when they were still enrolled in the pharmacy program at UBC. These students are only permitted to perform activities within the scope of a pharmacy assistant, and therefore, cannot counsel patients, perform medication reviews, or administer drugs via injection or intranasal route. New graduates who wish to perform restricted activities under the supervision of a Full Pharmacist should contact the College to inquire about applying as a Limited Pharmacist.